"How much does it really cost? Check out Karim Doumar's piece on City Lab to find out." "The U.S. Thanksgiving holiday is symbolized by its traditional food, a large bird we call a turkey. But turkey is certainly not from Turkey. In fact, its English name is based on one big mistake." "Thanksgiving can teach you about the difference between stative and progressive verbs. Stative verbs show or describe conditions or situations that do not do anything but exist." "Every year, at a ceremony at the White House, the American president "pardons" a turkey. Stories on the origins of the presidential turkey "pardon" are numerous. Edward Lengel, a historian, notes that Kennedy was the first president to give an official pardon." Almost 49 million people are expected to travel at least 50 miles for Thursday's turkey feast holiday." "The American Thanksgiving holiday is on Thursday. Many people will gather with family members for a large meal. It is a time to celebrate. But some people do not look forward to spending a lot of time with family. That is why people are proposing Thanksgiving survival strategies." "This Thursday, Macy's will send its 90th Thanksgiving Day Parade down the streets of Manhattan—a spectacle more than 50 million people tune in to watch from the comfort of their homes. Here are a few things you might not have known about the iconic holiday event." "Writer Helen Huthnance explains what Americans will endure for a special meal with friends and family every year." to assemble and bake a pumpkin pie that Guinness Word Records certified as the largest in the world. This magnificent dessert weighed 3,699 pounds and measured 20 feet across." "A record number of police officers will patrol New York's annual Thanksgiving Day parade on Thursday, with 3.5 million people expected to attend." 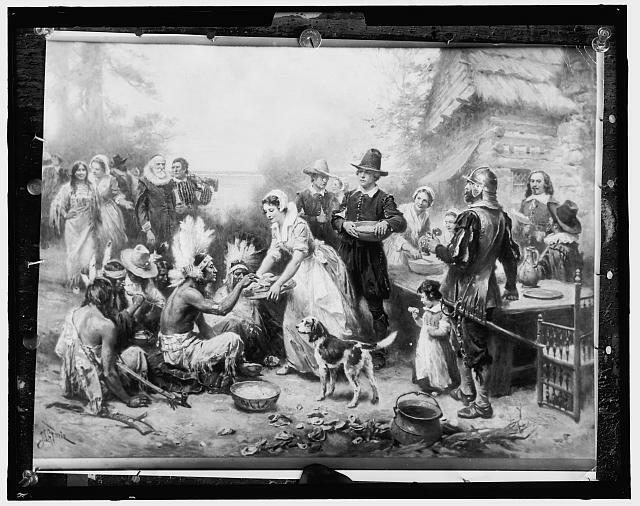 "Americans celebrate Thanksgiving this Thursday. Most will eat large meals, usually featuring turkey. Some will pray and give thanks. Some will volunteer. Many will relax with family members and friends. And many will watch football games and big parades." "Many Americans spend Thanksgiving with family and friends, celebrating with a traditional meal. But for others, it is a competition. Across the United States, there are contests to see who can eat the most pumpkin pie. These events go from October through Thanksgiving." Adopt-A-Turkey Project - Save a life and Adopt-A-Turkey. "Adopt-A-Turkey Project seeks to end the misery of commercially-raised turkeys by offering a compassionate alternative for Thanksgiving. Since 1986, Farm Sanctuary has rescued more than 1,000 turkeys, placed hundreds into loving homes through our annual Turkey Express adoption event, educated millions of people about their plight, and provided resources for a cruelty-free holiday." Farm Sanctuary "works to protect farm animals from cruelty, inspire change in the way society views and treats farm animals, and promote compassionate vegan living." "To meet demand, American farmers are planting more, chain restaurants are rewriting menus and ConAgra this month opened a $155 million plant dedicated to processing frozen sweet potato products — the first of its kind in the world..."
"Needy families and individuals line up during the ninth annual Harris Teeter Redskins Harvest Feast in Landover, Maryland. Sponsored by the Harris Teeter grocery chain, the Washington Redskins and other organisations, the food donation programme provides 3,500 families with a whole turkey and other food in a Thanksgiving basket." "The US is preparing to mark the annual Thanksgiving holiday, with more Americans taking to the road or skies for family visits than in recent years." "State facts about holiday foods. Also, a look at a food drive for poor families in Denver, Colorado." "The National Day of Mourning is an annual protest organized since 1970 by Native Americans of New England on the fourth Thursday of November, the same day as Thanksgiving in the United States. It coincides with an unrelated but similar protest, Unthanksgiving Day, held on the West Coast. The organizers consider the national holiday of Thanksgiving Day as a reminder of the democide and continued suffering of the Native American peoples. Participants in the National Day of Mourning honor Native ancestors and the struggles of Native peoples to survive today. They want to educate Americans about history..."
4 Will the protest ever end? "Mayflower Day celebrates the date the Mayflower sailed from Plymouth, England to America. On September 16, 1620, 102 men, women, and children set sail from Plymouth, England. Their destination was the New World, where they could have religious freedom, and continue using their native language, culture, and customs..."